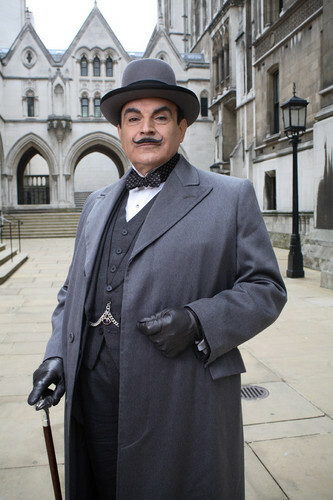 In this 45 minute television documentary, actor David Suchet recounts the life of the author who created the detective (Poirot) who made him famous – Agatha Christie. It’s structured as a biographical quest, although there isn’t actually that much mystery around Christie beyond her famous disappearance in 1930, and unlike biographical quest fiction, there are no real discoveries or breakthroughs made. It is actually just an appropriate and convenient way to look at her life through the eyes of what the academic Jon Thiem might call an ‘epigone’, in the guise (undoubtedly basically true) of Suchet realising he has never really learned the life story of the woman behind his character. There is only so much you can do in trying to convey an entire life in 45 minutes, and this documentary succeeds admirably, while showing clearly the limits of the form compared to a typical biography, which might be 800 pages long. There is little sense of competing interpretations of her life, despite the fact that Suchet moves between interviewing three different biographers of Christie for different periods of her life. It’s all very democratic, and each of them is interesting in their own way, but they surely have quite different understandings of their subject, and yet they’re stitched together as if they offer one seamless account. In any biography, it is important to give some sense of the time and place, and documentary as a form offers the chance to use stock footage and the music of an era as a audiovisual shortcut, evoking viewers’ pre-existing understanding of the period. It’s done beautifully and skilfully in this example. It takes the place of the biographer’s challenge of giving a cultural and historical context in words, the balance between too much information and not enough; the trick of guessing just what knowledge one can assume on the reader’s part. It seems to me the structure of the documentary is shaped a lot by who they could track down to interview about a particular time in the author’s life, and hence a strange detour of an interview with Tom Adams, who painted interesting covers for Christie’s paperbacks for years, only for him to reveal at the end of his segment that he never actually met her. It has an appropriateness, because neither did Suchet, and in a full scale biography, it might belong in some way in a chapter on the reception and presence of the subject in other artists’ lives – yet for a carefully timed documentary, it seems an unusual choice. Why not more time with her grandson, or her late daughter, or even with the archival interviews they have of Christie herself? Perhaps there’s nothing that’s visually interesting enough; every biographer is restricted by their sources, and the documentary biographer by the constraint of making something to watch and listen to. A little snippet of a life, I enjoyed it but thought David Suchet was a bit theatrical, his oohs and aahs were like something out of a Boys Own adventure! Yes, it was a little staged!